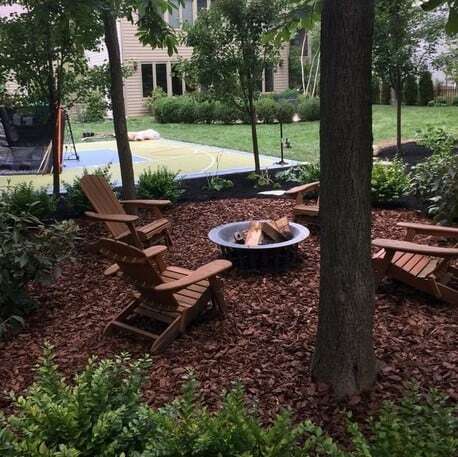 Mulch Delivery in Madison WI and The Surrounding Area - Quality Mulch Selection You Can't Go Wrong With | Look Forward To Getting Your Mulch Each Year With Circle B: A Landscape Supply Company That Treats You Like Family! 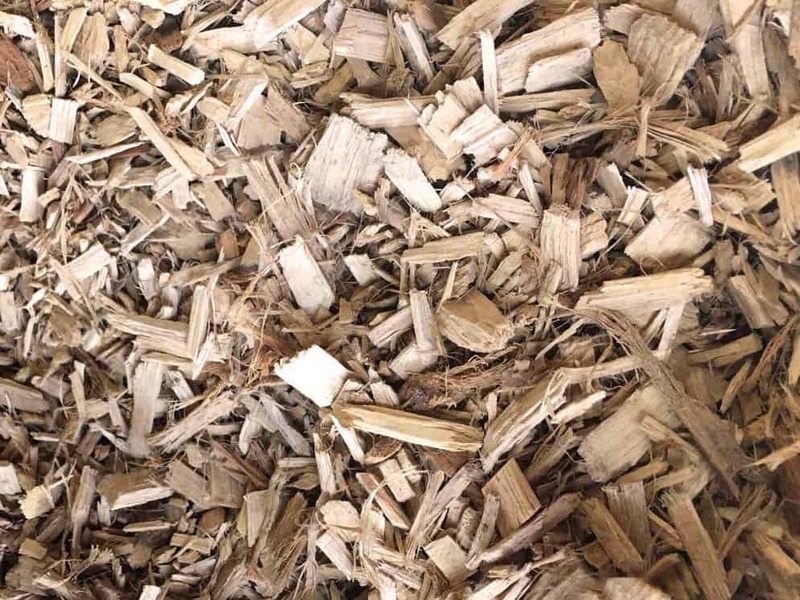 - Call, Stop By, Order Online, or Email Us Today | Double Shredded Hardwood Bark | Mulch Delivery and Pick Up | The Mulch Men at Circle B - Quality Mulch, Large Selection, Great Prices, Speedy Delivery! 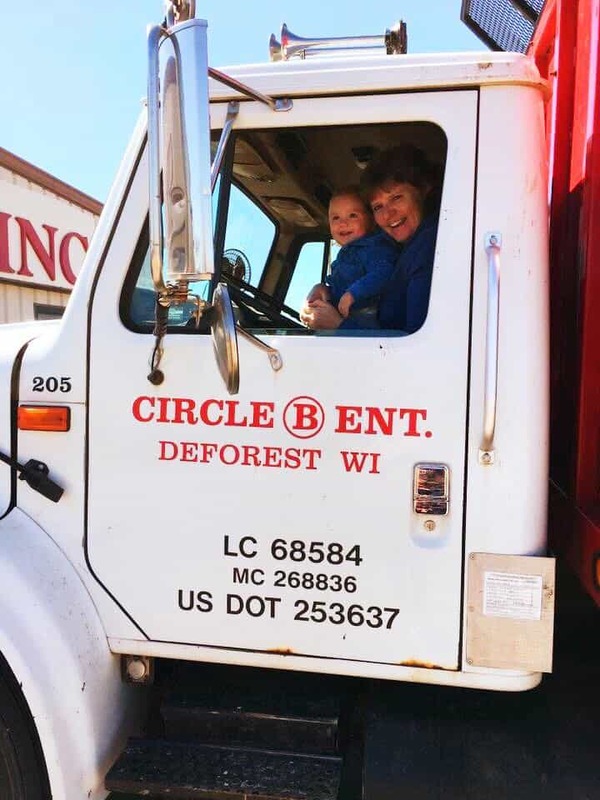 Circle B is the spot for local Mulch Delivery and Pick-up! 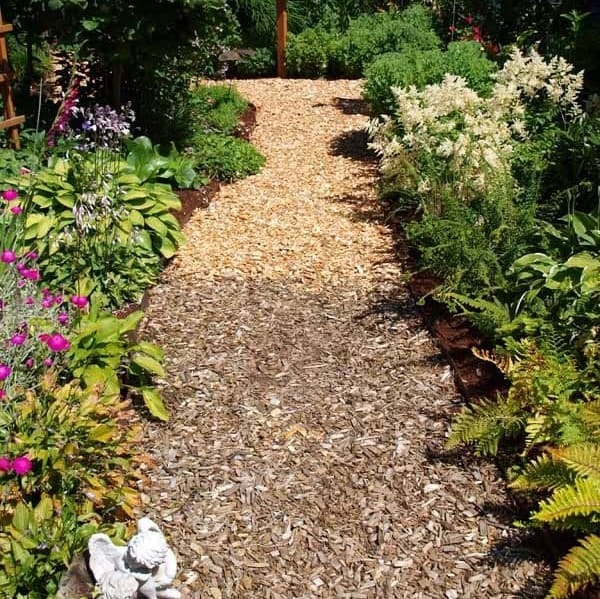 Mulch not only insulates and enriches soil, it also beautifies any planned outdoor space. 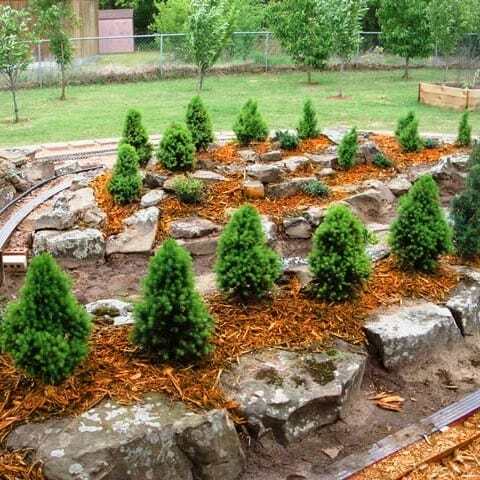 Whether you’re looking to cover playgrounds, garden beds, courtyards, or walkways, mulch is an all around great choice for your yard or outdoor area. 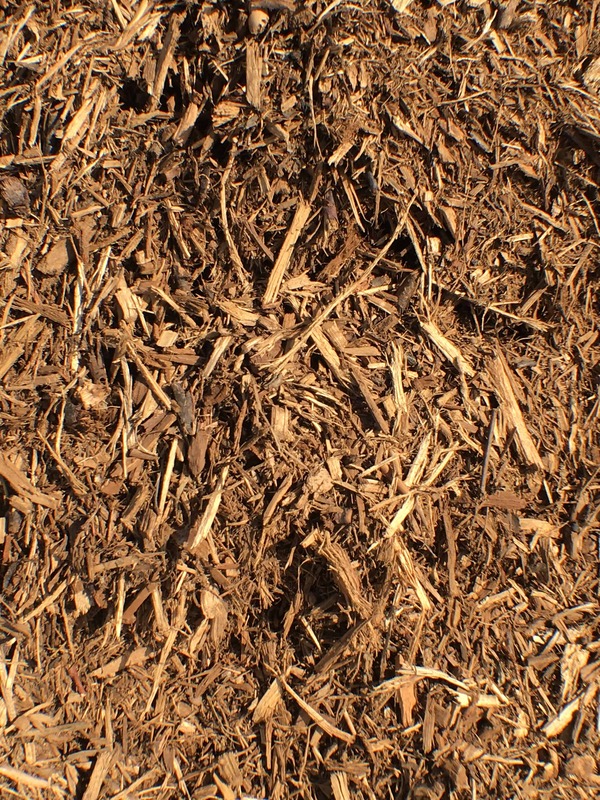 At Circle B, we’re known as “The Mulch Men” because we supply an impressive selection of high-quality bark at the best prices. 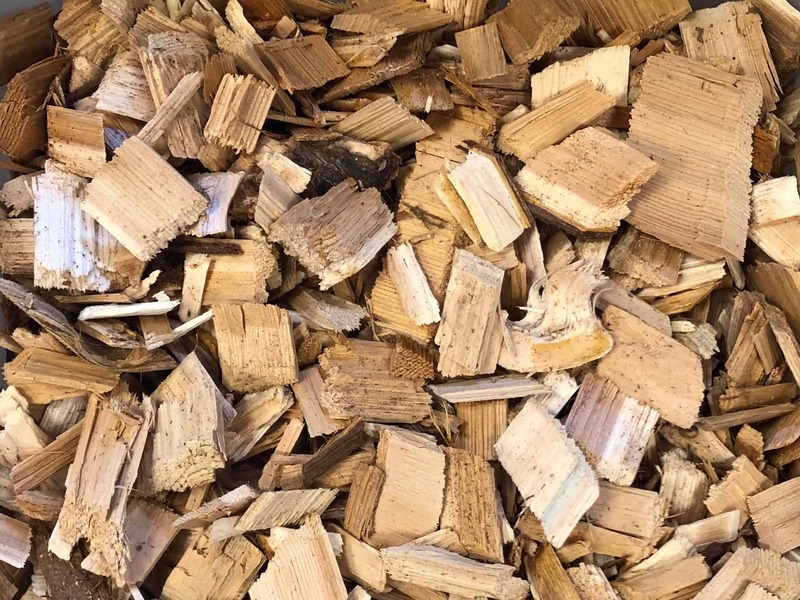 From our signature Double Shredded Bark to our more exotic Northern White Cedar, our extensive variety means that when you come to us you’ll always find a great fit for your yard or landscaping project. 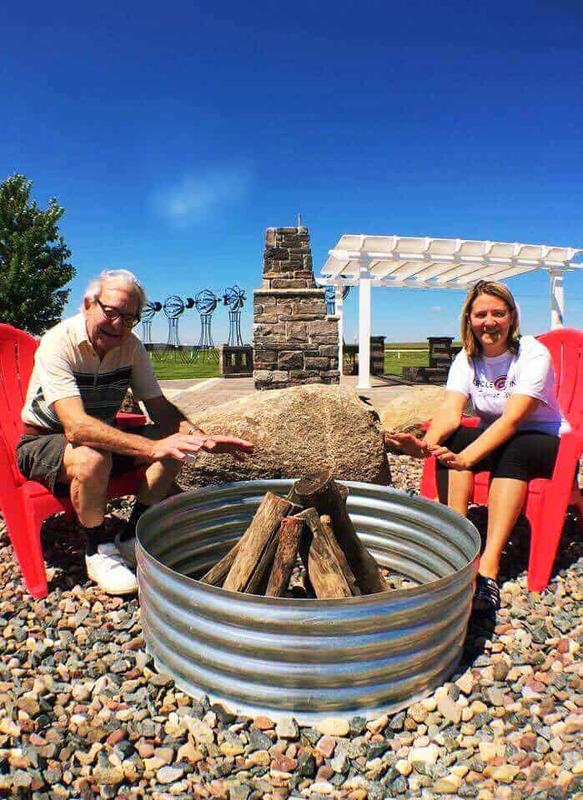 You won’t have to wait long to get your order from our grounds to yours either because we also provide speedy, economical mulch delivery in Madison and the surrounding area! 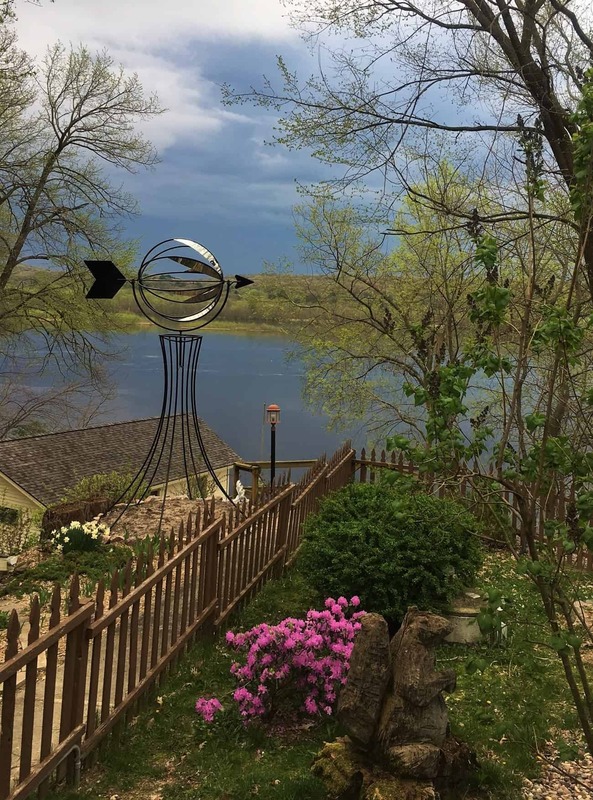 In fact, we have a maximum delivery wait time of only 2 days for customers in our normal delivery area, with the majority of our deliveries being fulfilled the same or next day! fill out our Get A Quote Form below to get a cost estimate. 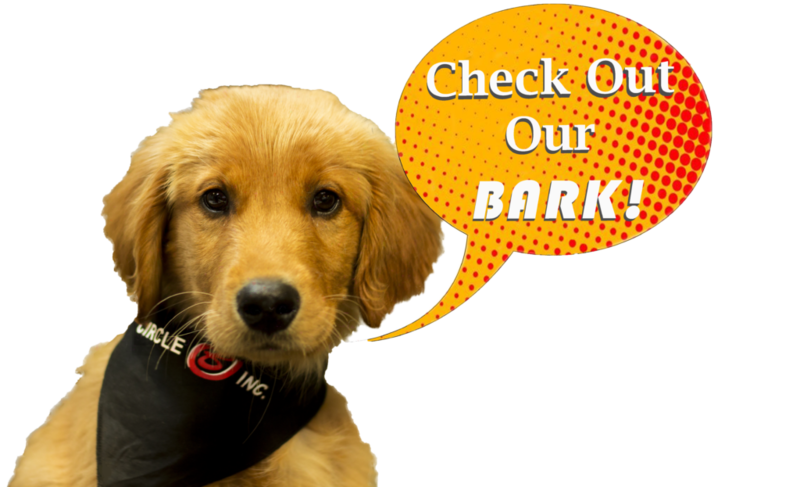 With Circle B Bark your yard will be the envy of the neighborhood in no time! 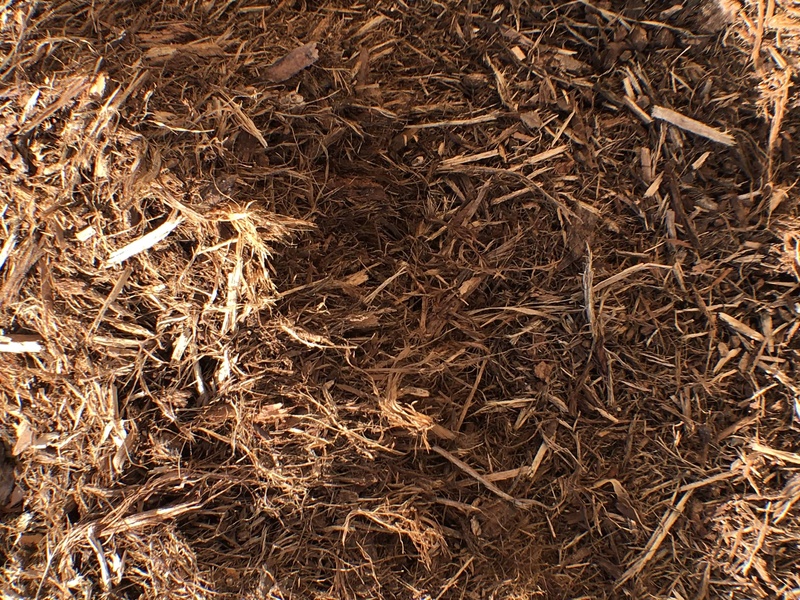 Double Shredded Premium Oak Bark: We put a lot of love into making our Double Shredded Mulch, and it shows. We take oak debarkings and cure them using a special process. Once the bark is finished curing, we shred it through one of our specialty bark grinders again for a beautiful fine consistency. 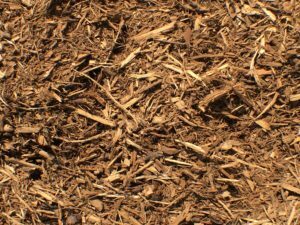 Our Double Shredded Oak is one of our most popular and economical mulches. 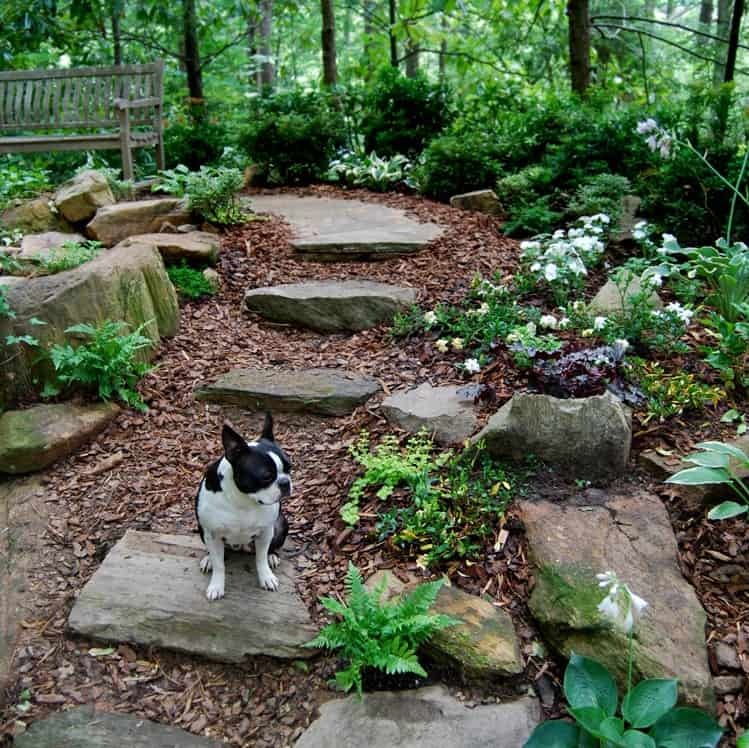 It has a very nice appearance, reduces weed growth, retains ground moisture, and adds valuable soil nutrients. 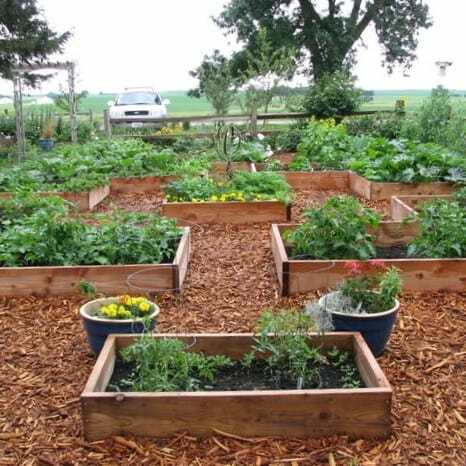 Pros: Inexpensive, nice looking, all natural, great soil amendment for gardens. Cons: Breaks down a bit quicker than the other mulches (lasts about 1-2 years on average). If spread in areas where water collects or it remains moist, this mulch can develop something called slime mold. Although the mold isn’t pretty to look at, it’s harmless. 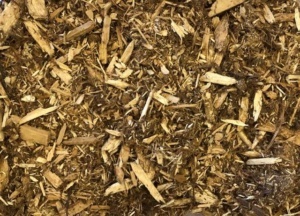 FAQ: What is double shredded bark? 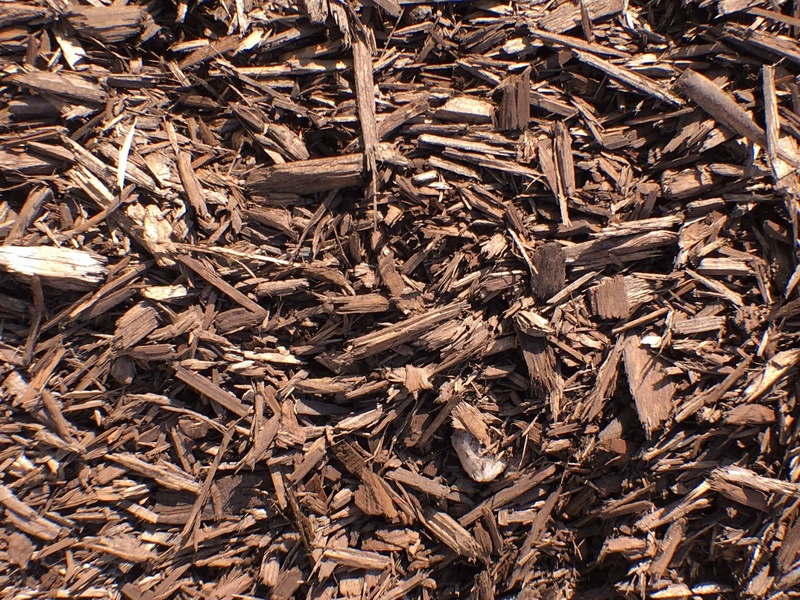 Brown Colored Mulch: One of our most popular products, this mulch is a beautiful chocolate brown in color. 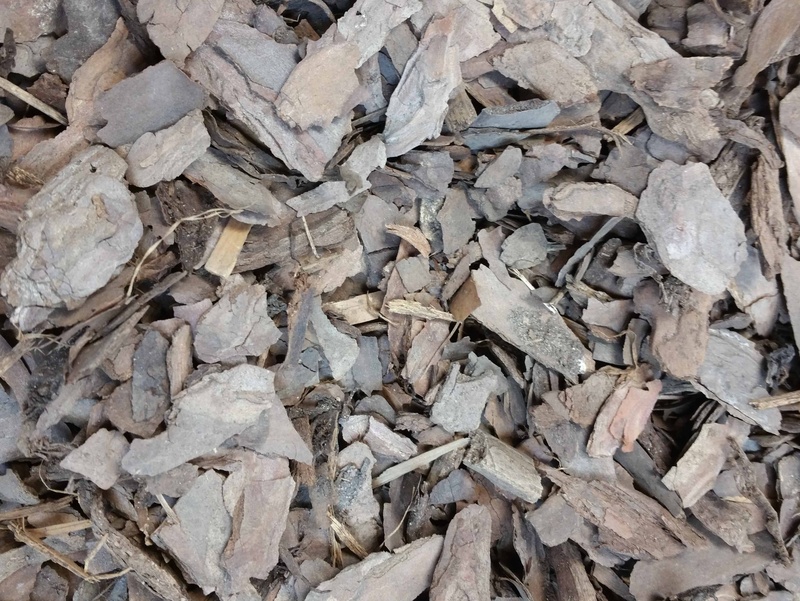 Like all our colored mulches, our Colored Brown is made from wood fibers that are tumbled in a natural coloring agent. It is environmentally friendly, retains it’s color for 2 seasons or more, and is slow to decompose. Pros: Lasts 2-3 years on average. Clean appearance. More neutral looking than the other colored mulches. Cons: Will get sun bleached in areas that get a great deal of direct sunlight. Not as natural looking. 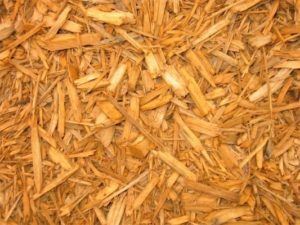 FAQ: Are Dyed Mulches Safe? 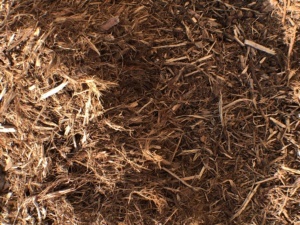 Gold Colored Mulch: This dyed mulch is a rich gold in color. Made from wood fibers that are tumbled in a natural coloring agent, Colored Gold is plant, pet and child friendly. It also retains it’s color for at least 2 seasons or more and is slow to decompose. Pros: Lasts 2 years on average. Clean appearance. Cons: Will get slightly sun bleached in areas that get a great deal of direct sunlight. 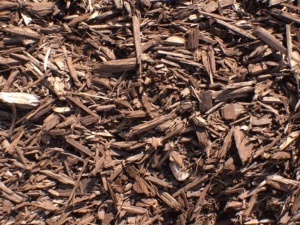 Not a fully natural mulch. Red Colored Mulch: A bold red in color, this mulch is made from wood fibers that are tumbled in a natural coloring agent. It is environmentally friendly, retains it’s color for 2 seasons or more, and is slow to decompose. Pros: Lasts 2-3 years on average. Contrasts nicely against greenery. Bold color that really makes your garden beds stand out. Cons: Will get sun bleached in areas that get a great deal of direct sunlight. 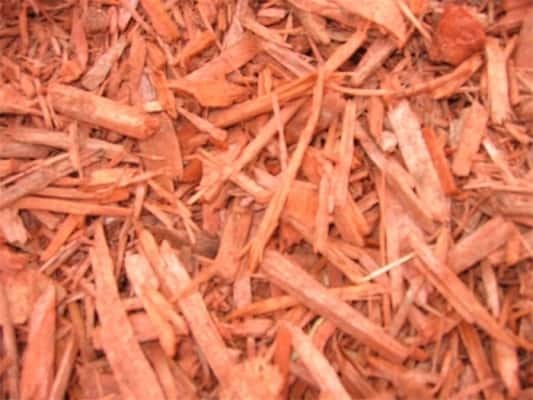 If you’re looking for a neutral mulch, Colored Red is not it. Not fully natural. 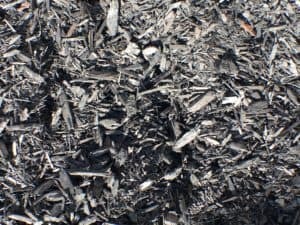 Colored Black Mulch: A pleasant departure from the classic dyed mulch colors, this mulch is a nice charcoal black. 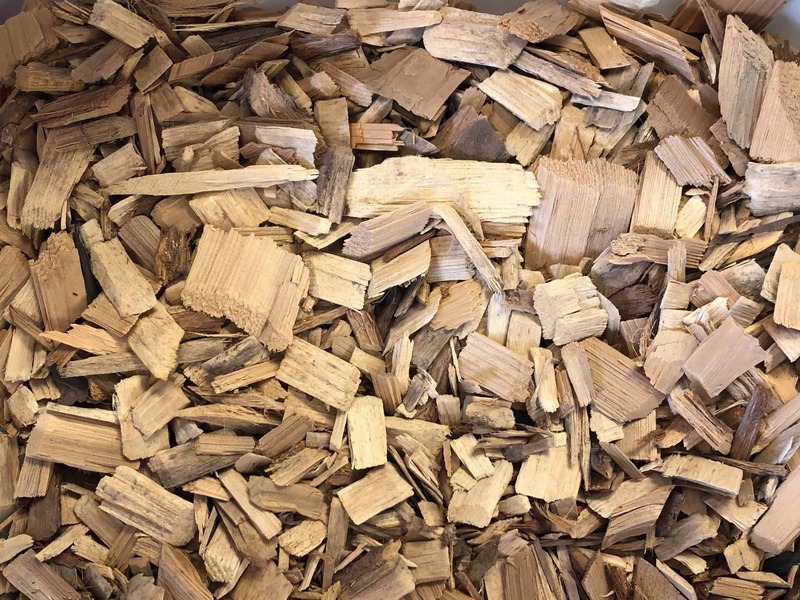 Colored Black is made from wood fibers that are tumbled in a natural coloring agent. It’s environmentally friendly, retains it’s color for 2 seasons or more, and slow to decompose. Pros: Lasts 2-3 years on average. Clean contemporary looking appearance. Unique. Cons: Will get sun bleached in areas that get a great deal of direct sunlight. 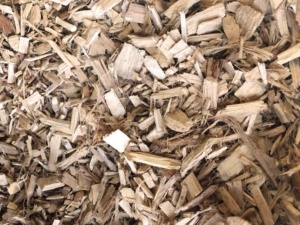 Northern White Cedar: A beautiful mulch that is light caramel in color and made of a combination of bark and wood fiber. It’s aromatic properties make it naturally insect resistant. 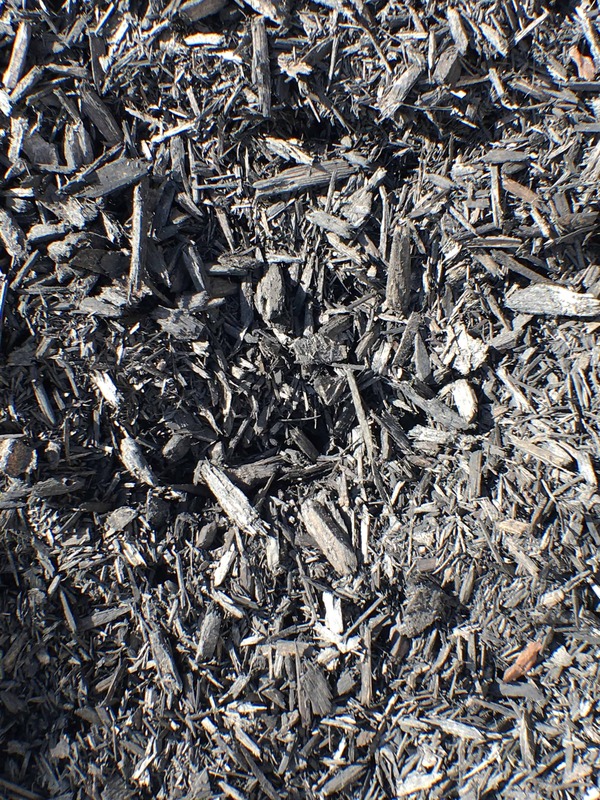 It is one of our longest lasting mulches, lasting on average 3-4 seasons. Pros: Smells pleasant, mildly insect repellant, lasts 3-4 years. All natural. Cons: Slightly higher price point (although you’ll save by not needing to replace it as often due to it’s longevity). Northwood Pine: This product is medium brown in color. 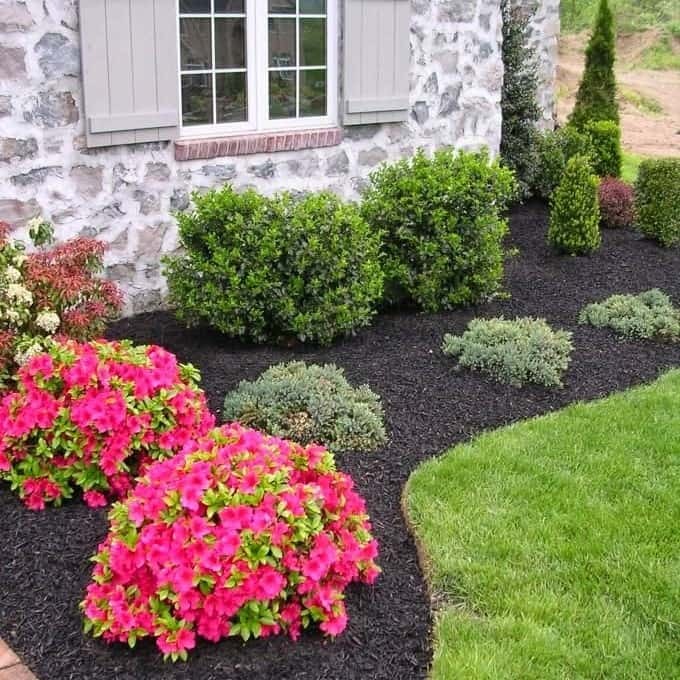 It doesn’t compact like most mulches, however it can make the soil acidic in PH as it breaks down so it is recommended under conifers and other acid loving plants such as blueberry bushes, magnolia trees, hydrangeas. Pros: Great for soil conditioning and heavily compacted soil areas. Nice looking. Will last an average of 2 years. Cons: Not for areas that get a lot of wind, as it’s a lighter, flatter bark mulch. Not good for sensitive alkaline PH level loving plant areas. 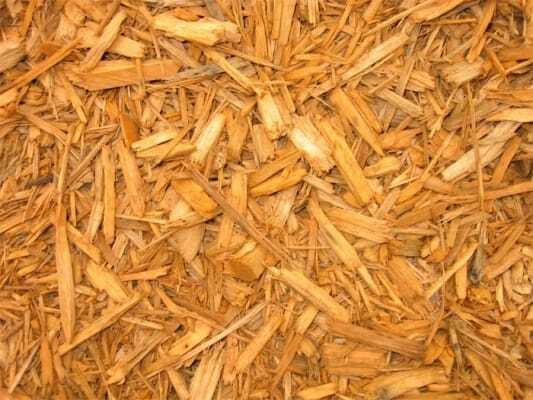 Cedar Wood Chips: These wood chips are a light gold in color. 1.25”-1.75” square chips 3/8” thick with beveled edges. 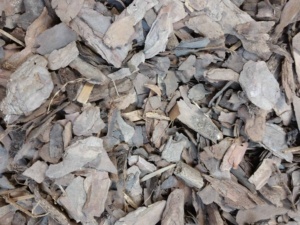 This is a larger smooth chip frequently used under playgrounds and on walking paths. Lasts 3-4 years on average. Pros: Very slow to decompose, great for under playgrounds. A bit larger than the Oak Woodchips. Cons: Not typically used in garden bed areas. 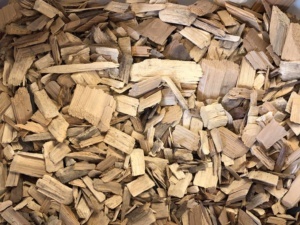 Oak Wood Chips: A light brown in color, these wood chips are 1”-1 .25” square chips 2/8” thick with beveled edges. Smooth, clean texture frequently used under playgrounds and on walking paths. Lasts 2 years on average. Pros: Lasts 2-3 years, great for playgrounds. 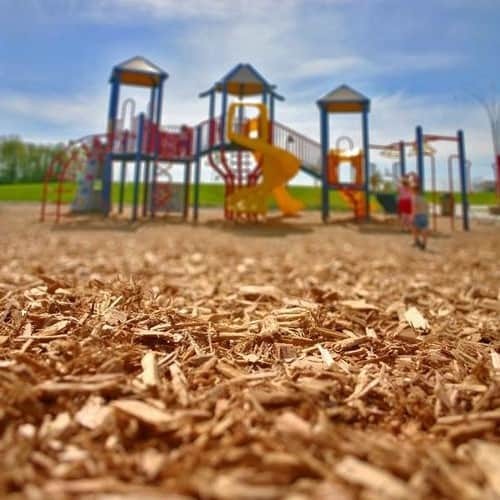 Certified Play Mat: This consists of ground wood chips that meet all the certification standards for daycare, municipality, and school applications. It is also US Consumer product safety standard and wheelchair accessibility tested. No chemicals or additives. 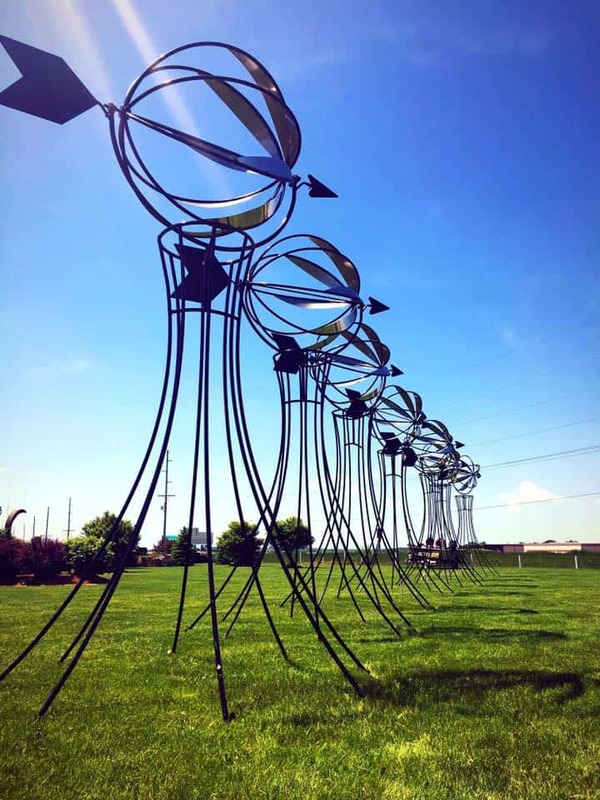 Great for under playgrounds. Pros: Certified. Natural. Lasts 2 years on average. 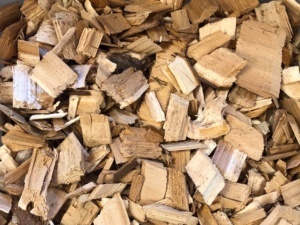 A bit more cushion than the other wood chips. Cons: Won’t last as long as other woodchips. 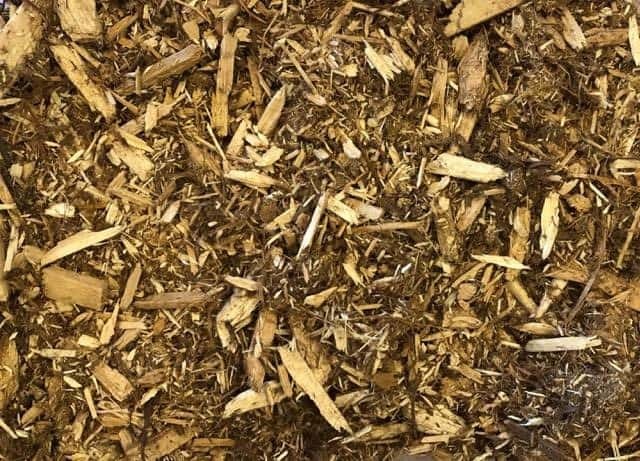 Trail Mix:This is an economical mulch ideally suited for trails, paths, or large areas. Not normally used as a decorative mulch. It is made up of a combination of wood fiber and bark. Pros: Inexpensive. Good for trails and paths. Cons: Not a great decorative mulch. Not sure how much mulch you’ll need? Use our Mulch Calculator below to get a yardage estimate, then fill out our below to get a cost estimate. Otherwise, if you’re ready to place an order, go to our Order Online page! 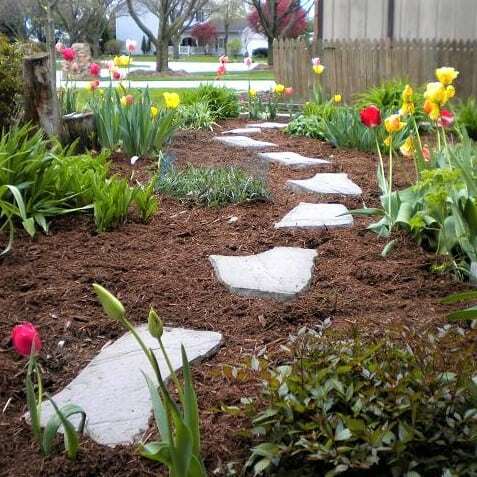 Please select what kind of area you have and enter each of your dimensions to estimate how many Yards you will need of Mulch or Soil. If you have multiple areas DO NOT combine the dimensions, as this will come out to double the yardage you actually need. Enter the Depth and the dimensions or diameter of each area separately, write down the yardage amount for each, then add those yards together to get the correct amount. 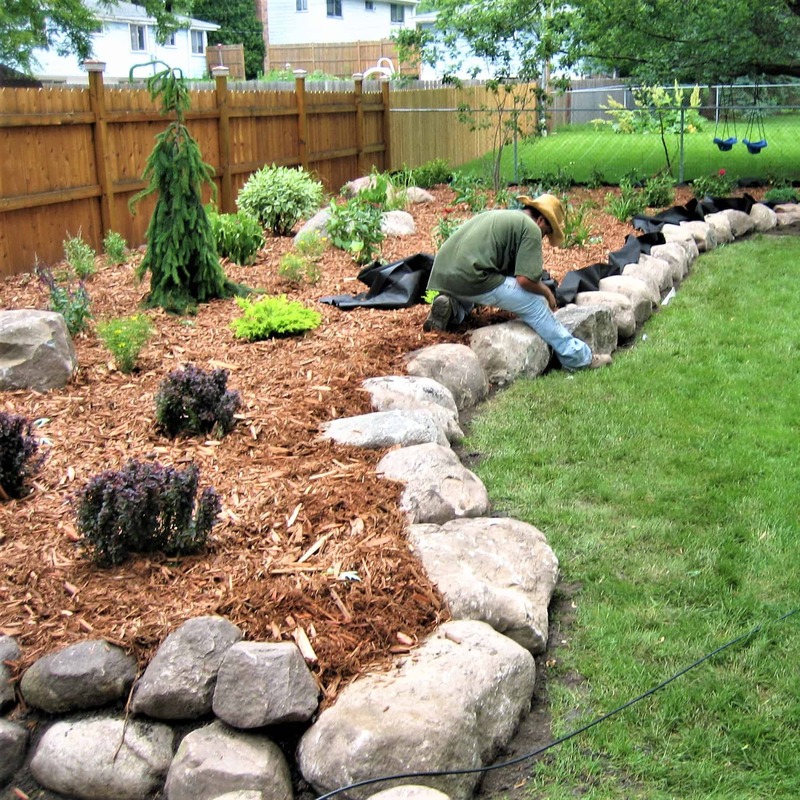 For mulch, we suggest a depth of 4"-6" thick for a new or very sparse area and 1"-3" for refreshing an existing mulch bed. 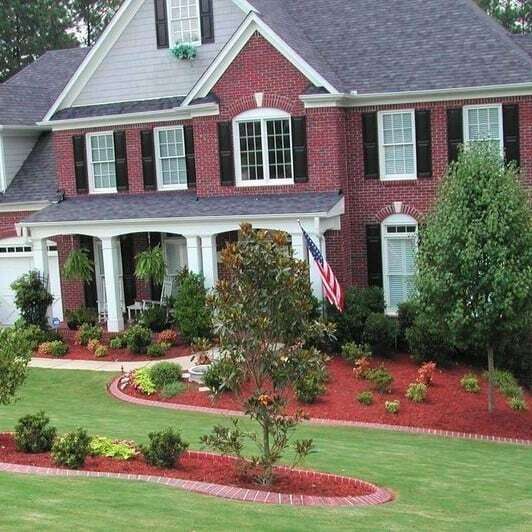 FAQ: How Much Mulch Should I Apply? 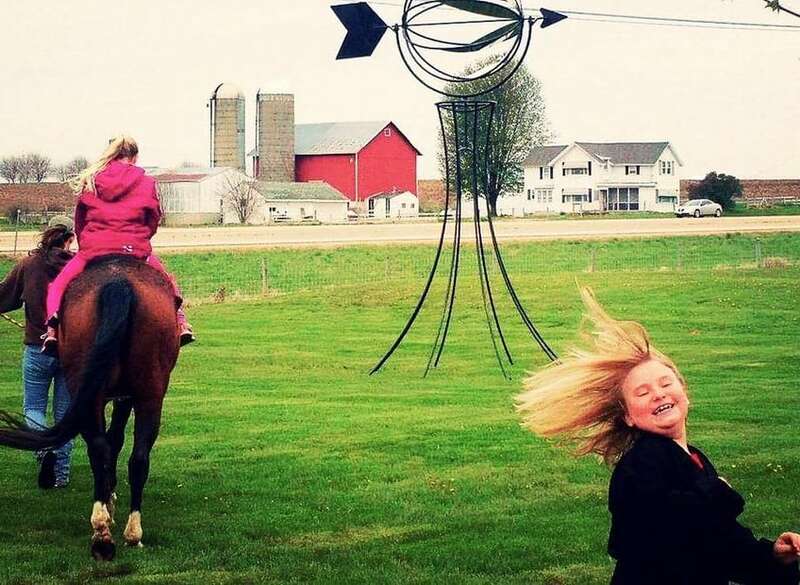 Do you want a quote? Fill out the form below and we’ll get back to you promptly! 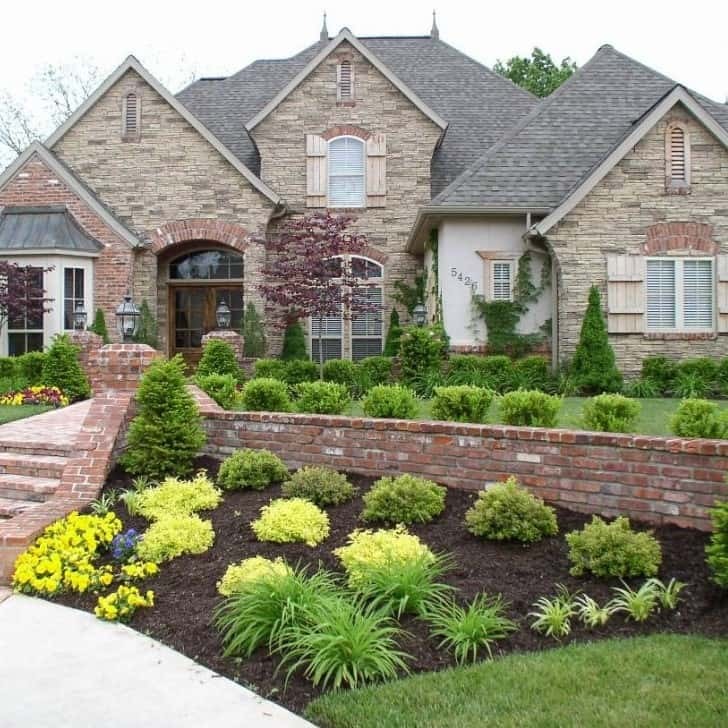 Please select what kind of area you have and enter each of your dimensions to estimate how many Yards you will need of Mulch or Soil. Enter the Depth and the dimensions or diameter of each area separately, write down the yardage amount for each, then add those yards together to get the correct amount.